With the spate of hurricanes that hit the U.S. mainland and its territories in the fall of 2017, disaster relief was urgent and widespread. Many people focused their efforts in their local communities, and rightly so. 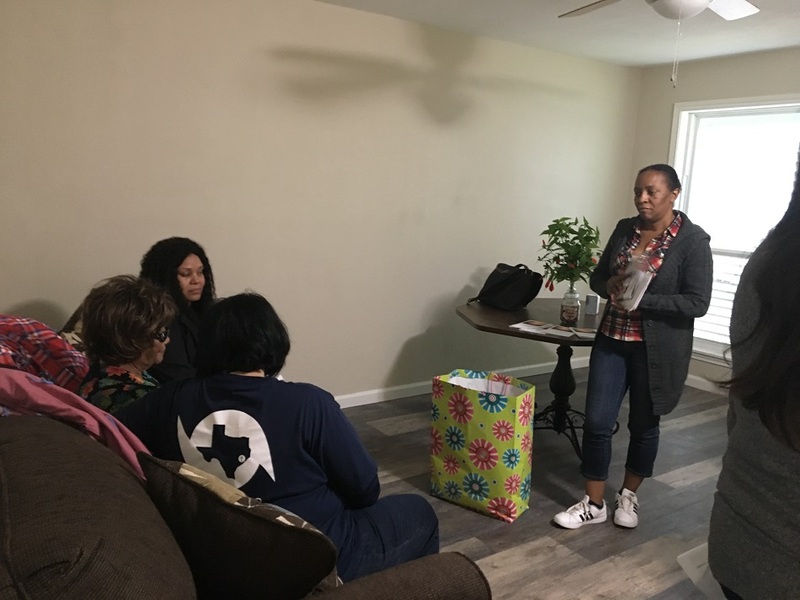 Residents, charitable organizations like Catholic Charities, and government offices – already embedded in neighborhoods – became good Samaritans to their brothers and sisters. National organizations helped too. The level of destruction in Texas, Louisiana, Florida, Puerto Rico, and the U.S. Virgin Islands (USVI) meant that local efforts alone could not respond to all the needs. 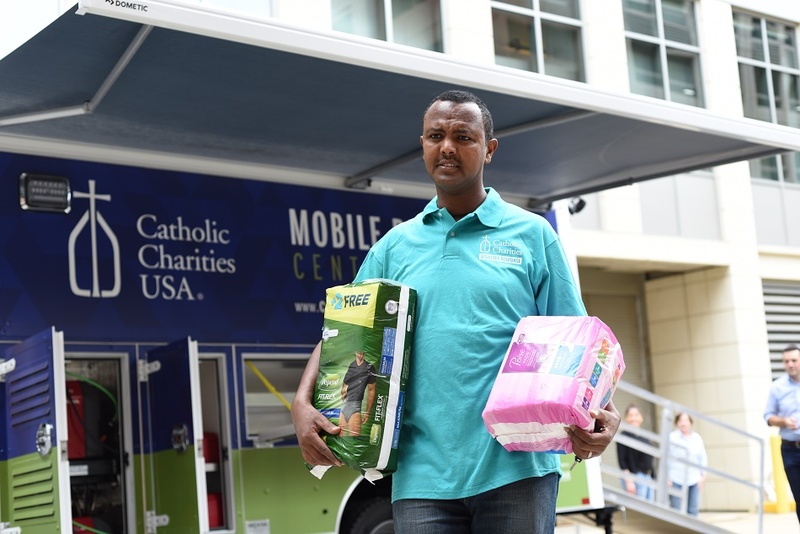 Even as Hurricane Harvey approached the coast of Texas, Catholic Charities USA (CCUSA) – the national office for the Catholic Charities ministry – initiated a national donation campaign and mobilized its disaster operations team, including the deployment of the CCUSA Mobile Response Center vehicle to Texas. In the face of such difficult times, one hears many inspiring stories. 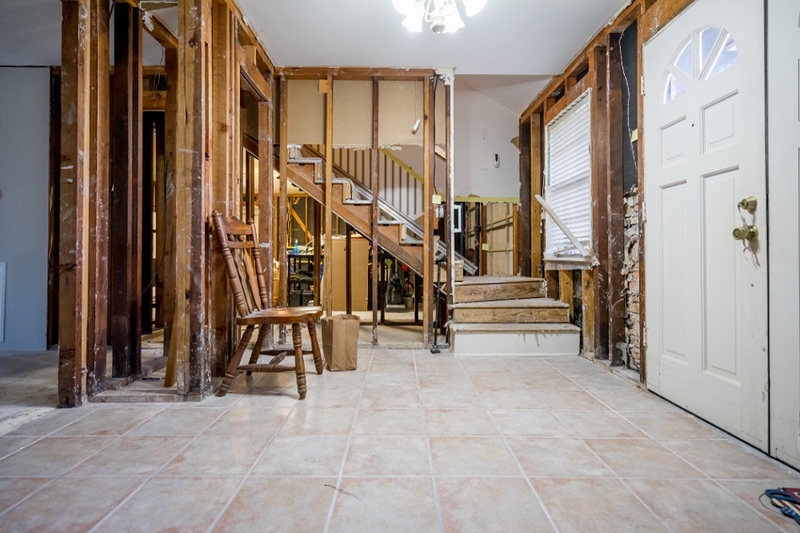 Thousands of good people came to the aid of their neighbors, whether it was by rescuing an elderly woman from her flooded home or by sending a $100 donation to help people get back on their feet. One story that captures this benevolent charity well involves a helicopter ride from San Juan, Puerto Rico, to St. Thomas, U.S. Virgin Islands. Two days after Labor Day, Hurricane Irma tore through the U.S. Virgin Islands and damaged much of St. Thomas and St. John. The hospital, the airport, two police stations, one fire station, and many private homes, including subsidized housing units, could not be used. Communication systems were also down. Without exaggeration, the need was immense. Assessing the damage, Andrea Shillingford, executive director of Catholic Charities USVI, knew it would be a long time back to normalcy. Having heard of the situation in the USVI, the bishop of San Juan, Archbishop Roberto Nieves, and the executive director of Caritas Puerto Rico, Father Enrique Camacho, were already planning to help their island neighbor. Puerto Rico, depending on the point one measures from, sits nearly 100 miles west from the USVI, which is only about a 30 minute ride by air. 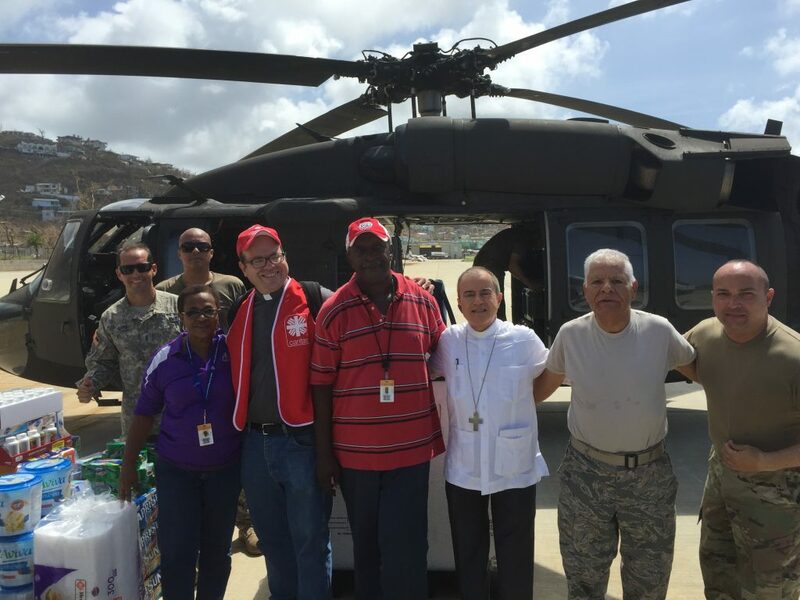 On Sept. 11, a day notable in U.S. history for neighbor helping neighbor, and despite Puerto Rico being in the path of Hurricane Maria, Archbishop Nieves and Father Camacho, with the assistance of Puerto Rico’s National Guard, loaded a helicopter full of more than 3,000 pounds of food, water, and other items like solar lamps, batteries, and generators. They flew the supplies to St. Thomas, where Ms. Shillingford met them and received the donations. She told Father Camacho that despite the difficulties of the moment, she was happy to be part of the big family of Catholic Charities. “We are not alone,” she added. Both Archbishop Nieves and Father Camacho were glad to be able to help the people in the USVI. Although they probably would say that it was simply part of their duty and despite the fact that they were facing Hurricane Maria (which would decimate Puerto Rico), their generosity in time of need is an example of sacrificial love after the manner of Christ, the original Good Samaritan. Sometimes people who are overwhelmed by a disaster ask where God is in all of the pain. Certainly part of the answer will always remain a mystery, but another part is the help he provides through people. The aid received from Puerto Rico certainly made Ms. Shillingford and the people of USVI feel not only supported but also hopeful. “If God took us to this, He will take us out of it,” she said.